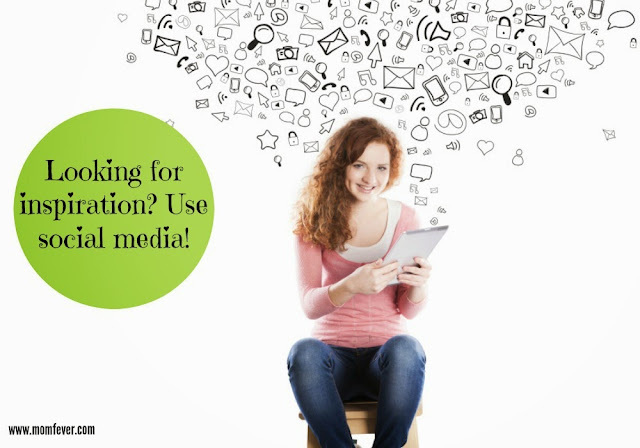 Get inspired by Social Media! Have you ever sat in front of your computer staring at a blank screen wondering whether inspiration had left the building for good? Luckily there's an easy way to get those creative juices flowing again! And it's called the internet! Looking for inspiration? Use the internet! The internet is loaded with creative ideas for trips, products, and even tips to make existing ones better. You can find ideas and make them your own by putting your personal stamp on them. Colors can be changed, side trips can be altered, and the spirit of an innovation can head to a different area of the house. Social media is one particular area of the internet that really can inspire some serious action. And knowing which accounts to follow for the best ideas can get the inspiration flowing even faster. Companies love to talk about areas they are active in. They don't mind tooting their own horn! That makes a lot of them the perfect social accounts to follow. Take Palmco for example. Palmco does a great job offering up energy saving tips, project ideas, and even some great day trips for the part of the country it operates in. Since Summer Vacation is almost upon us, I especially like the part about the day trips! Follow social media accounts that are off the beaten path! These regional specialties can reveal some pretty great and innovative ways to save on bills or uncover places off the beaten path. The point is that following accounts that are off the beaten path might be the hidden gems of social media that you are looking for. Following home renovation experts, travel professionals, and other popular and celebrity endorsed accounts can also be a major source of information. While many of these accounts are manned by companies, they still provide some really great ideas. Everything from bringing old furniture to life to great amusement parks to local events and festivals can be discovered just by checking out the page. Social media allows for interaction between users as well, which means pictures, videos, and even more tips could be produced by interacting with other people. In short, social media can inspire new ideas. Whether searching a hashtag on Twitter, checking out trending topics on Facebook, or seeing great results on Pinterest, taking a few minutes to scan different social news outlets can have very big and fun rewards. Using a combination of famous and well-noted accounts and some regional accounts that might not be as well-known can reveal a host of interesting activities. In the end, getting up and getting inspired just takes a small spark of interest, and knowing what is hot right now or what is new could be the key to opening a lot of different doors. And soon your computer screen won't be blank anymore! I love searching instagram for new travel locations! I also use it to stalk campgrounds, state parks, etc for pics to see what's there and how nice or clean a place is! Thanks for sharing your tips at the #HomeMattersParty this week. I like the idea to follow local and regional accounts for special tips and even discounts. I agree. I can get on Pinterest and find so many ideas that I have a private board to save them all. When I find myself thinking about ideas for posts, I go through those I've pinned. There is so much inspiration on social media. I find so much great stuff there.